Erm, yes. 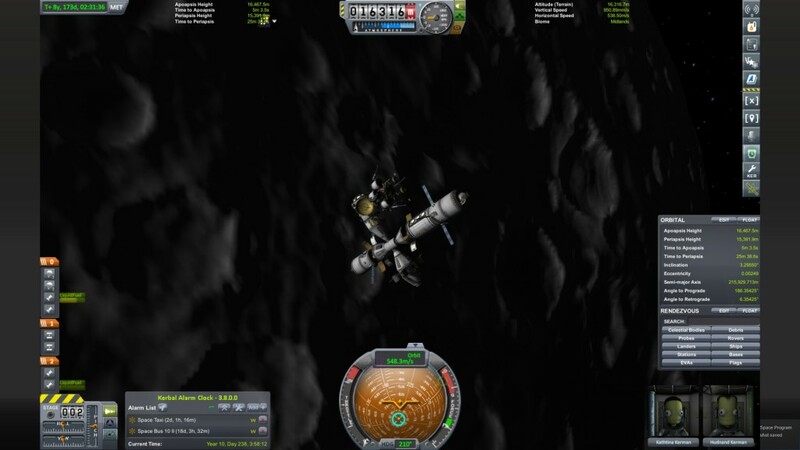 So, Kerbal Space Program, or KSP for short, has been the recent gaming addition of mine. This game is nominally about building planes and rockets out of a selection of pre-made parts, and then having your Kerbals, short creatures which are sort of a cross between a Minion and Frankenstein’s Monster fly them and (hopefully) not die. However, for a whole host of reasons my contraptions, like those of many KSP players, tend to end in smoldering crater fashion. As a result, the game is also sometimes referred to as the Kerbal Murder Simulator! Here is my base on the surface of Minmus, which is the second moon orbiting the Kerbal home planet. That is apparently just fine with Squad, the game’s developer. They clearly had their tongue firmly planted in cheek when they wrote this game; from all of the Kerbal puns to the wacky names and descriptions given the rocket parts and the companies that made them, KSP is not a game that takes itself overly seriously. However, when you strip all of that away, this game really is a love letter to man’s efforts to explore space. I truly got the sense that the developers grew up stargazing, watching The Right Stuff and Apollo 13, and imagining themselves riding the Shuttle to orbit. That sense of passion for the subject matter really comes through. There are two basic game modes to play KSP in. The first is Sandbox, where players have unlimited money and access to all available parts right from the start. The other mode is called Career mode, where players have to take missions to earn money and make scientific discoveries, which allows them to slowly unlock more and more parts so that they can undertake ever more complex missions. I have mainly been playing in the Career mode, as I like the challenge of the missions and the direction they provide. 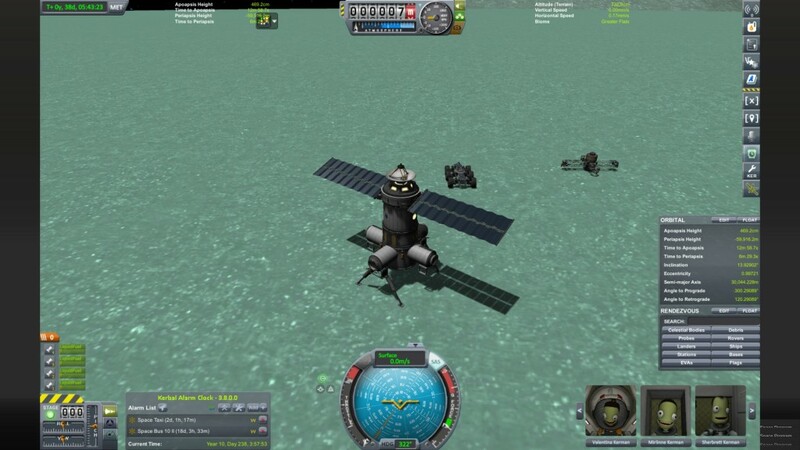 To be honest, sitting down in front of KSP in sandbox mode for the first time is a bit daunting! This impressive edifice is my orbital base around Duna, the KSP analog for Mars. Over the 200-odd hours I’ve played since picking up KSP over the summer, I’ve been able to figure out a lot of things; how to get to orbit, how to make space stations, even how to make a base on one of my home planet’s moons. It’s funny; often I would be playing and not noctice the passage of time. I’d sit down intending to play an hour or so before bed, only to look up and see that 3 or 4 had passed instead! This game is really engrossing and gives a player a great understanding of just what it means to explore space. Every single milestone I’ve reached has been surprisingly rewarding, although every success has been preceded by at least 5 or a dozen unsuccessful attempts (explosions generally being involved!). Even after having put 200 hours into the game, I feel like I’ve barely scratched the surface on all there is to see and do! 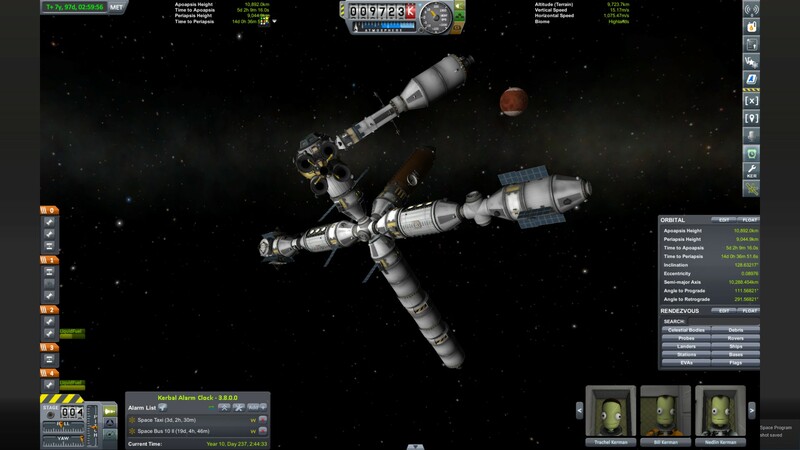 This entry was posted in Reviews, Video Games and tagged Kerbal Space Program, KSP. Bookmark the permalink.